How much will it cost to file an NIW petition? The attorney’s fees for an NIW petition are a flat fee of $3,900, which can be paid in either four or nine installments. We understand that you have other financial demands, so we allow these flexible no-interest payment plans to be paid by credit card, with no additional processing fees. We also offer a MONEY BACK GUARANTEE. In the highly unlikely event that your NIW petition is denied, ALL attorney’s fees paid for your NIW petition would be completely refunded. 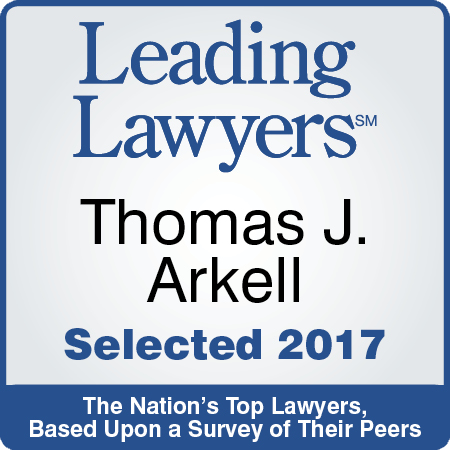 Why choose Mr. Thomas J. Arkell and Dunn Law Firm? We believe in quality over quantity. Every client is very important to our firm – he or she is not just a statistic. Mr. Arkell personally reviews each case and only accepts the cases he believes will be approved. Having gone through the immigration process himself, Mr. Arkell knows how important approval is to his clients. Our success rate is OVER 99% on cases with a full refund over the last twenty years. How accessible is Mr. Arkell? Mr. Arkell has a vast knowledge of the NIW requirements and process having been a F-1 international student and then a permanent resident. He respects the importance and urgency felt by his clients to complete the NIW application quickly and successfully. Therefore, he provides his personal cell phone number upon request. How qualified is Mr. Arkell? Mr. Arkell has earned both his undergraduate degree and his law degree from the University of Notre Dame (ranked in the top 25 law schools) and has been licensed to practice law for over twenty years. He is a member of the American Immigration Lawyers Association and has presented on National Interest Waivers all over the U.S. including at MIT, the University of Michigan, Penn State University, the University of Notre Dame and the University of Illinois at Urbana-Champaign. What is a National Interest Waiver (NIW)? 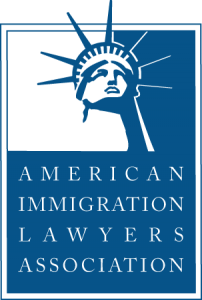 A NIW is a petition under the employment-based, second-preference immigration category that waives the labor certification and U.S. job offer. You must have at least a Master’s degree or equivalent to qualify under the NIW category. What factors are considered by USCIS to be beneficial to the national interest of the United States? The applicant’s proposed endeavor has both substantial merit and national importance. The applicant is well-positioned to advance the proposed endeavor. It would be beneficial to the United States to waive the job offer and labor certification. We prepare and file the NIW petition and all supporting documentation including drafting all forms and working with you to draft recommendation letters. We also draft a detailed NIW petition cover letter. Additionally, we represent you and follow up on your case with USCIS until green card approval. How long does the NIW process take? One to two months to prepare and submit. It can be filed within one month, but it often takes time for individuals to return signed letters of recommendation. Letters can be sent as signed PDFs to save time. After the petition is submitted, it usually takes four to six months for the NIW to be approved although processing times vary depending on backlogs at USCIS and the Service Center where the petition is being processed. How long does the AOS process take? After the petition is submitted, it usually takes four to six months for the AOS to be approved although processing times vary. The accompanying temporary work and travel documents will typically be approved in three to four months. How much would it cost to file an AOS petition with the NIW petition? The attorney’s fees for an AOS petition are $1,100.00 for the principal applicant, $600.00 for the principal applicant’s spouse, and $300.00 per child of the principal applicant. The maximum attorney’s fees for children of an applicant will not exceed $600.00. Additionally, the USCIS filing fee for any applicant or dependent over the age of 14 will be $1,225.00. The USCIS filing fee for any dependent under the age of 14 will be $750.00. How many letters of recommendation do I need for the NIW petition? We suggest obtaining 5-6 letters of recommendation. We do provide a service of writing all letters of recommendation for $600.00. In this case, we will need your research statement and list of letter writers. Where will my NIW application be filed? All NIW petitions are filed at the Texas Lockbox and assigned to a USCIS Service Center based on the state in which you reside. What are my options if I am in F-1 status? You can wait to file the NIW (and possibly AOS) petition until after OPT is approved. You should speak to your university to find out its policies about OPT and STEM extensions. You can wait to file the NIW (and possibly AOS) petition until after STEM extension is approved. Again, you should speak to your university to find out its policies about OPT and STEM extensions. If you are very well qualified, you can file prior to obtaining OPT and obtain a temporary employment authorization and advance parole (travel) document within 3-4 months of filing and your green card in 6-9 months. Qualified PhD students can get their green cards before they graduate. What if I am in J-1 status? If you are in J-1, you need to make sure the two-year home residence requirement does not apply to you, as you will not be able to adjust your status until you obtain a waiver of the two-year home residence requirement or fulfill the requirement by returning home for two years. How do I know if the J-1 two-year home residence requirement applies to me? There are two ways to check if this applies to you. If you renew your DS-2019 you should see if the “Not Subject” or “Subject” box is checked. You may also look at your J-1 visa stamp to see if it states that you are subject or not. What if I am currently in J-1 status and subject to the two-year home residence requirement? If you are currently subject to the two-year home residence requirement, you can still apply for the NIW. However, you will need to obtain a J-1 waiver or satisfy the requirement before applying for adjustment of status. What if I am in H-1B status? An H-1B petition is your best option for underlying nonimmigrant status because H-1B status provides for dual intent if you have an employer willing to file an H-1B petition on your behalf. Generally, dual intent means you can enter the U.S. on a valid H-1B visa while your adjustment of status application is pending, and in F-1 or J-1 status, you should obtain advance parole before you leave the U.S.
Who will be assigned to my case? Mr. Arkell (attorney), with over twenty years of experience, the Immigration Practice Manager, with nearly twenty (20) years of experience, and an experienced Immigration Paralegal.